This extreme interest in health and nutrition is, unfortunately, fuelled by false advertisement. The Internet, television, and product labels make claims not backed by science, fooling millions and reaping a sizable paycheck. And in America, supplements are regulated by the Food and Drug Administration the same way that foods are, not as if they are medications. This means supplement manufacturers aren't required to back their claims by science. If vitamins, minerals, botanicals, and herbs are good for you and available over the counter, they must be safe to take in high doses, right? Science has proven otherwise. You feel a cold coming on so you pop the vitamin C pills and lozenges to ward it off, but too much of certain vitamins and minerals can be dangerous. Four example, when you overdose on vitamin C, your body loses its ability to absorb copper; too much phosphorous and your body can't absorb enough calcium; vitamins A, D, and K can build up to toxic levels when large doses are taken; too much vitamin A will put you at risk for osteoporosis; vitamin E may increase your risk of stroke; and iron your risk of heart disease. And you thought those supplements came with no risks. With a healthy diet that includes plenty of fruits, vegetables and lean proteins, you’voe got little room for the need of supplements. Eating a healthy well-rounded diet will also provide millions of phytonutrients unavailable in supplement form. It also helps your supplements be more effective when you do take them, as supplements are made less effective when taken on an empty stomach. It isn’t surprising that the claims of supplements aren’t proven by anything other than anecdotal evidence. Recently, independent research found that 30 percent of products labelled as multivitamins do not include the ingredients in the amounts listed on the labels and occasionally contain dangerous ingredients. If you haven’t yet become one of my valued clients then now is the time! I’d like to show you how a consistent, challenging exercise programme will dramatically transform your body – once and for all! Recent advances in neuroimaging techniques have discredited the old saying, You can’t teach an old dog new tricks. Scientists have discovered that the brain actually has dynamic properties throughout life. This means that your brain is always evolving. Through practise, you are able to change your habits and change yourself. There’s nothing like a bowl of homemade soup for instant comfort. 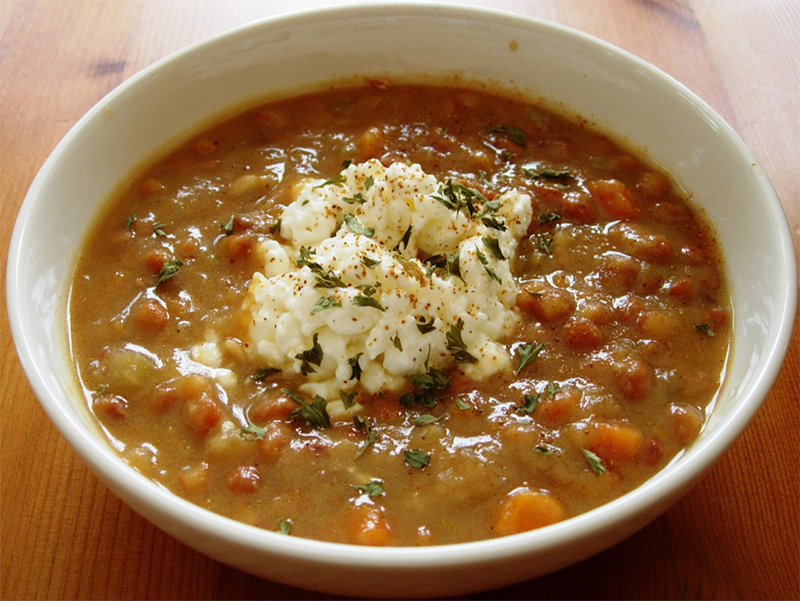 Use this Easy Lentil Soup recipe for a light dinner or quick lunch. It’s easy to make, tastes delicious and is low in fat. What’s more it’s full of natural protein. And guess what? Lentils are packed with cholesterol-lowering fibre. One serving equals 240 calories, 2g fat, 35g carbohydrate, 18g fibre, and 16g protein.